Where do you begin looking for resources for seniors, people with disabilities, and family caregivers in the state of Indiana? 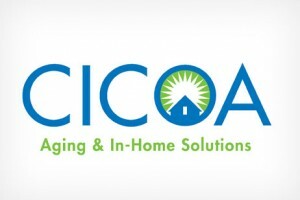 CICOA Aging & In-Home Solutions is the state’s largest Area Agency on Aging. CICOA serves Boon, Hamilton, Hancock, Hendricks, Johnson, Marion, Morgan and Shelby counties. CICOA’s mission is to empower older adults, those of any age with the knowledge of resources to achieve the highest possible independence, dignity and quality of life. CICOA achieves this goal by linking clients with community-based resources. Thank you for the informative article. Navigating the issues related to aging, disability and caregiving can be challenging. If you have any questions about aging and disability issues, call CICOA at 800-432-2422. As the Area Agency on Aging serving Central Indiana, CICOA provides accurate, unbiased information to help you make informed decisions about care options. Please also visit our websites at http://www.cicoa.org and http://www.indycreativeaging.org.